Do you have a company that is involved in the EMS world? Obtaining an exhibitor booth at EMS PRO Expo is the perfect opportunity to network with industry PROfessionals and gain new clients. Join the leading ranks of the EMS world by attending our emergency medical technician trade show as an exhibitor. Why be an exhibitor at EMS Pro Expo? As a world recognized EMS trade show event, your business will get premier exposure at the largest New England medical service conference. Get your name out by signing up with us today. Our extensive online PROmotions will benefit you and your team. Your organization’s name will be used in the advertising materials we use for the EMS conference exhibits marketing. You can also use this material to draw in clients and future leads to exemplify the PROfessionalism and focus your company has on PROmoting a better and safer tomorrow. By joining the ranks of our leading world-class EMT trade show exhibitor list, you will be guaranteed the highest level of ease and access to fulfill all of your advertising and booth needs. We PROvide you with resources you can count on. By signing up early, your team benefits from getting a premium choice on your booth location and size all for the early bird pricing. Contact us today to see how we can help you take your business to the next level by becoming one of our EMS trade show exhibits. Don’t let your competitors get the upper hand, take advantage by joining us today and begin gaining new leads, contacts, and sales of your PROducts. All space will be assigned by the EMS PRO Exhibitor Committee. Booth space will be based on the availability of exhibit space; on a first come basis determined by the postmark date/time of the envelope containing exhibit space payment). The EMS PRO Exhibitor Committee will make every effort to provide the booth location as selected by the exhibitor. Booth personnel can pick up badges: Wednesday, May 30th from 12:00 pm – 5:00 pm. The registration desk re-opens Thursday, May 31st at 7:00 am. Any booth personnel not pre-registered must show a business card. Handheld Unit provides complete mobility. The lightweight design with a bright LCD color display makes capturing leads easy and effective. Managing your leads is made simple by the touch screen and the “real-time” access. Mobile App is for those who wish to use their own smart device. Our mobile app is easy to use and most importantly, it is easy to set up. This option allows you to set up your own surveys, custom action codes, take notes, email, etc. 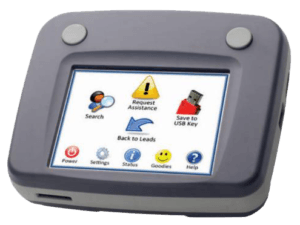 All leads are “real-time” and you never have to worry about checking out/checking in equipment. 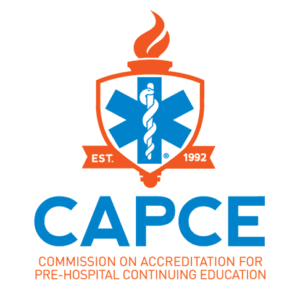 check in and out of sessions for CEU requirements. In-Booth RFID is designed to work in conjunction with lead retrieval to provide you with true insights around trends taking place in your booth. Whether you want to know who came to your booth, how long they stayed, where they visited, we have the tools in place to make it happen. Full-color graphics display for easy viewing of data. Its ergonomic design allows for left or right-handed operation for effortless scanning and data entry even in the most demanding situations. Capture, qualify and manage tradeshow leads anywhere with an Apple or Android smartphone or tablet. After you capture sales leads, follow up instantly with a text, email, or phone call. 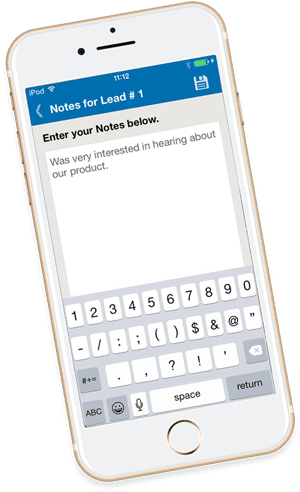 Set up your own qualifiers or surveys and add additional free notes. Access your leads online and download into excel. All leads are Realtime. The following rules and regulations will govern the exhibits at the EMS PRO Expo. To avoid any misunderstandings, please read the rules and regulations and enclosed contract carefully. An authorized signature on the contract confirms acceptance of the rules and regulations. Electrical 15 AMP power strip, 8’ high back drape and 3’ high side drapes, one 6’ skirted table, two chairs, one wastebasket, and one sign. (Please note: we reserve the right to use a 3’ rear drape on end cap booths.) Dismantling of Exhibits on Saturday will begin 15 minutes after the last class starts. The early dismantling of exhibit booths will not be allowed and will jeopardize future participation. Booth rates are stated on the official application. No space will be assigned without a completed application and full payment. All requests for cancellation must be made in writing to the EMS PRO. If cancellation is received before March 1, a refund will be issued minus a $250 cancellation fee per booth. If cancellations are received after March 1, the entire booth fee will be retained by the EMS PRO. The EMS PRO, in the event of a conflict regarding space requests or conditions beyond its control, reserves the right to rearrange the floor plan. Any assigned booth space not claimed by the start of the Expo, or regarding which no special arrangements have been made prior to the opening of exhibits, may be resold or reassigned by the EMS PRO without obligation on the part of the EMS PRO with no refund whatsoever to the exhibitor. The Exhibitor acknowledges that the EMS PRO is merely a licensee of Foxwoods and that the exhibit halls of the Foxwoods are licensed to the EMS PRO. Accordingly, the exhibitor shall use its exhibit space in compliance with all rules and regulations with respect to such use from time to time imposed by Foxwoods. In addition, the exhibitor will only display products or material manufactured or distributed by it in the regular course of its business, and, for no other items or things of any nature. The exhibitor recognizes and agrees that the contract of which these rules and regulations are a part, constitutes a sub-license agreement of its space, and shall not assign, further sub-license or otherwise apportion or dispose of its exhibit space or any other part thereof, or any use of all or any part of its space to any person, firm or entity other than the Exhibitor without permission from the EMS PRO. Each exhibit is limited to individuals, business firms, manufacturers, and dealers who have contracted and paid for space. Exhibit booths must be manned by registered exhibitor personnel at all times during the open exhibit hours. All exhibit personnel must be bona fide employees of the exhibiting company or Representatives who receive a commission, brokerage, or salary from the exhibitor. False certification of individuals as exhibitor representatives, misuse of exhibitor badges or any other method or devices used to assist unauthorized persons to gain admission to the exhibit floor may be subject to a fine and expulsion of the exhibitor from the Expo and barring him/her from further entrance to the floor without obligation on the part of the EMS PRO for a refund of any fees. Upon the exercise of the authority by the EMS PRO, the exhibitor, his employees and/or agents, waives any rights to claim for damages against the EMS PRO arising out of the enforcement of this paragraph. The Exhibitor assumes responsibility and agrees to indemnify and defend the EMS PRO and Hotel and Tribe and their respective employees and agents against any claims or expenses arising out of the use of the exhibition premises. The Exhibitor understands that neither the EMS PRO nor Foxwoods maintains insurance covering the Exhibitor’s property and it is the sole responsibility of the Exhibitor to obtain such insurance. All exhibits and respective contents are at the Exhibitor’s risk. 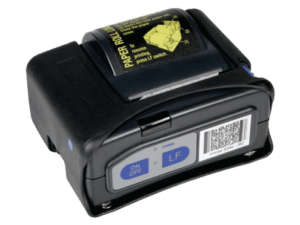 The EMS PRO will not be responsible for damage or loss by fire, riots, strikes, etc. However, as an additional service to the Exhibitors, general security will be provided for the protection of exhibits. Any item that is sold at this show is subject to Connecticut State Sales Tax. The and responsibility to obtain Connecticut State Sale Tax registration is solely that of the Exhibitor. No signs or articles may be affixed, nailed or otherwise attached to walls, doors, floor, etc., in such manner as to deface or destroy. Any violations of these rules, the exhibitor will be held liable for any damages resulting from such violations.